Tom Denchel Ford will donate $20 for every person who test-drives a Ford vehicle at HHS on Saturday, June 2, from 9 a.m. to 3 p.m.
NHS Induction Ceremony is scheduled on May 31, in the high school’s auditorium, at 7 p.m. 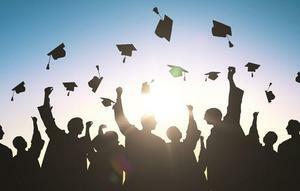 Please read the information regarding graduation. Did you miss the May 4th town hall meeting about critical issues facing the Hermiston School District? A video of the meeting, in both English and Spanish, has been posted on the district's YouTube channel. 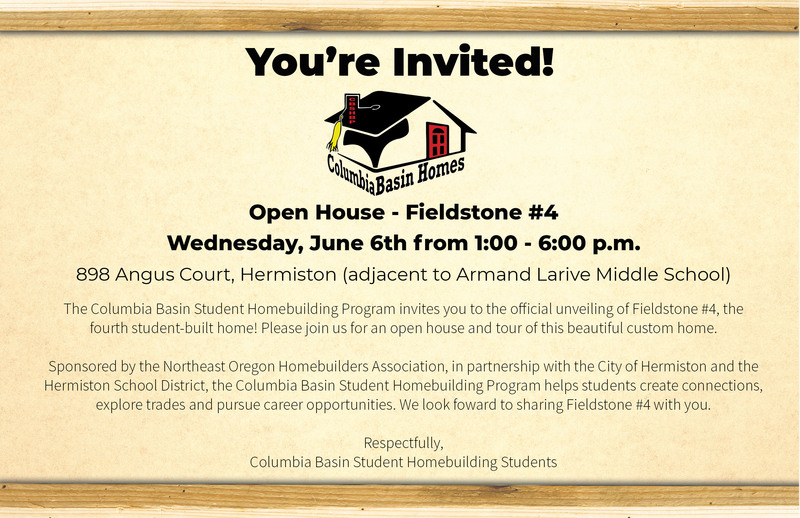 The fourth home in the Columbia Basin Student Homebuilding Program, Fieldstone #4, will be open to the public on Wednesday, June 6th starting at 1:00 p.m. Train like a Dawg! HHS head coaches, staff and players host a wide range of sports camps for grades K - 8 this summer. Softball, Marching Band, Soccer, Cross Country, Basketball, Volleyball, Tennis and more. HHS and ALMS receive Gold Council for Outstanding Achievement award and Sandstone the Silver Council award. Interim Superintendent of Schools Tricia Mooney announced today that she will recommend Mr. Daniel Greenough as the next Desert View elementary principal to the Board of Education at its April 9 Regular Meeting. Hermiston School District is interested in reaching all kindergartners for the 2018-19 school year. The spring kindergarten registration dates are April 9 – April 20.